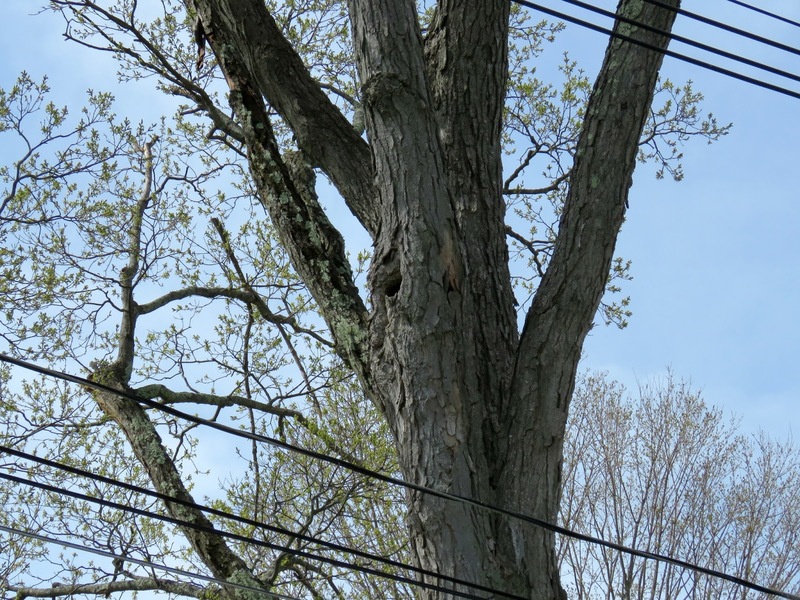 If you drive into the town center of my town, and veer off Main Street to the road that leads to the police and fire stations, you will drive by this tree. In this tree lives a megascops asio, otherwise known, as a screech owl! 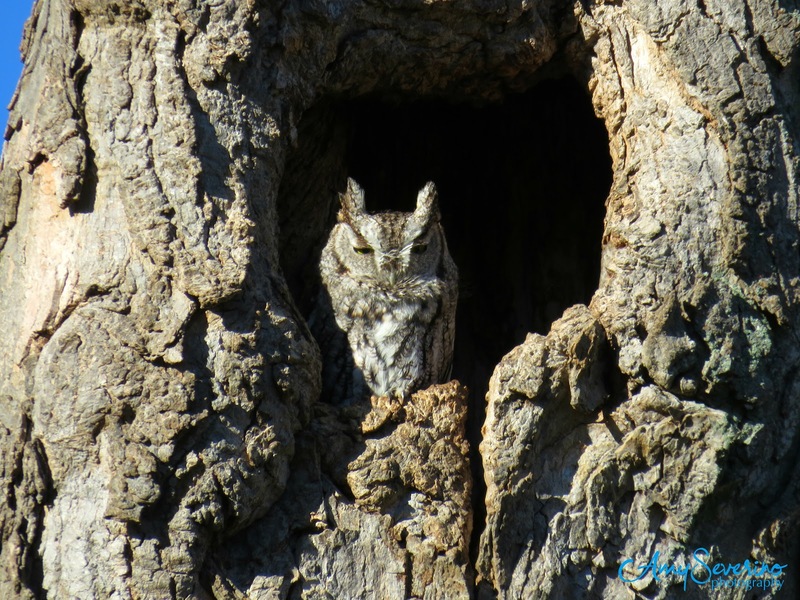 I didn't discover this bird myself, but received a tip about it when I was viewing some great horned owls with some other birders. Since I have learned of this wonderful, tiny owl, I drive by as frequently as I can! I'd say this bird in the opening of this hole about 60% of the time I drive by. I stop often, to grab some snaps, but it's usually just sleeping! 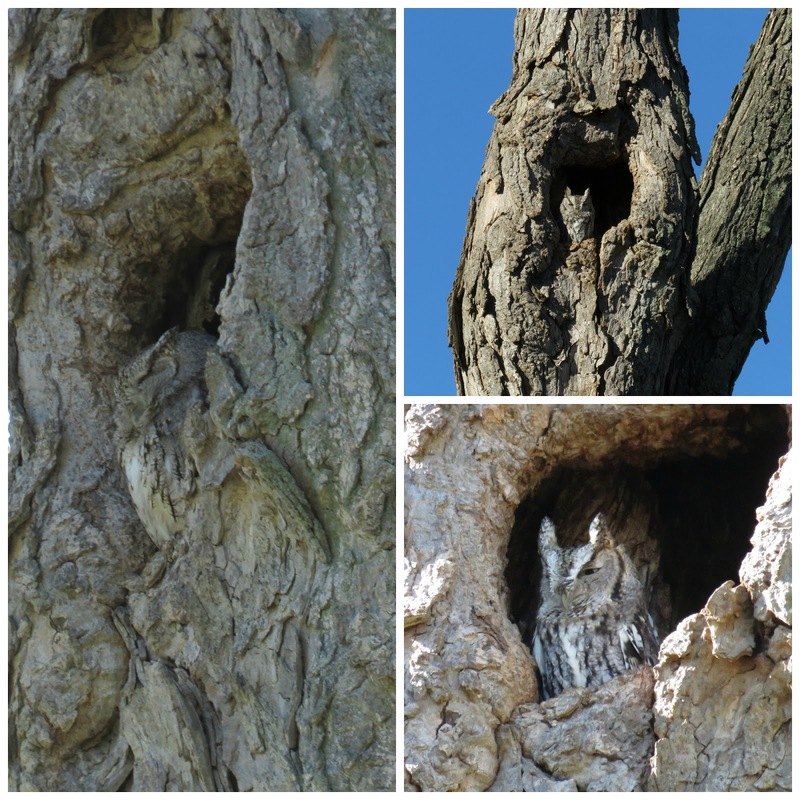 The screech owl in my town is described as "gray morph". But the screech owl can also have a "red morph". 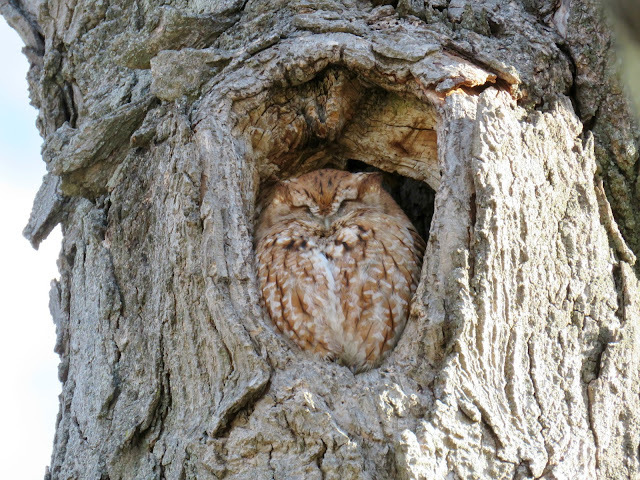 There is a well known red morph screech owl that lives near a park in Newburyport, MA, that I have visited a few times. This one is often sleeping as well! In other owl-related news, I also wanted to share news of a great horned owl nest I have been observing for the last three years. 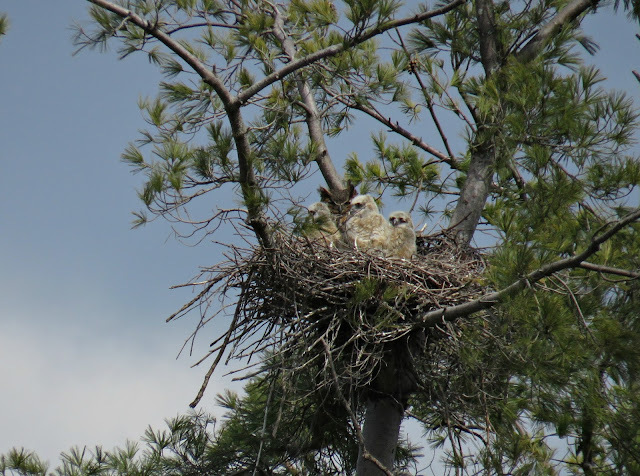 The owlets hatched a few weeks ago and there are three in the nest! So exciting! For the last two years, she's only produced two, so it's was quite a thrill to see that third head pop up this past week! Like most birds, these babies grow so fast, in just a couple weeks they'll be leaving the nest which will also be thrilling to watch, but a little bittersweet too! 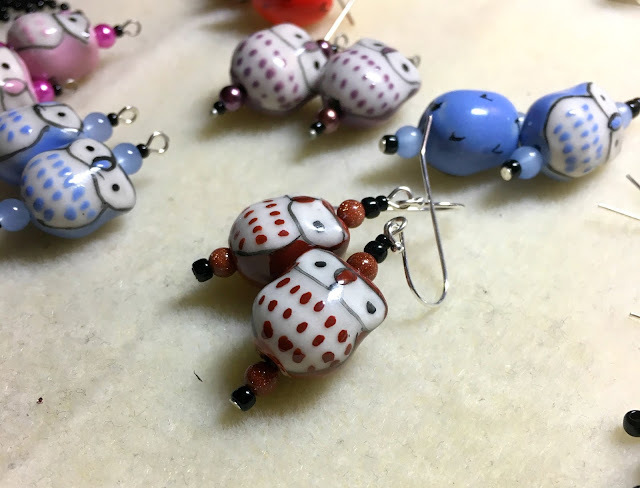 So in staying with the owl theme of this post, here are some more owl earrings. I found these ceramic owls at a craft store and thought they were so darn cute! 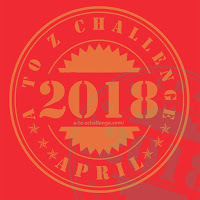 I will be holding a drawing at the conclusion of the A-Z challenge, and the winner will be awarded 7 pairs of earrings! Just comment to be entered in the drawing. 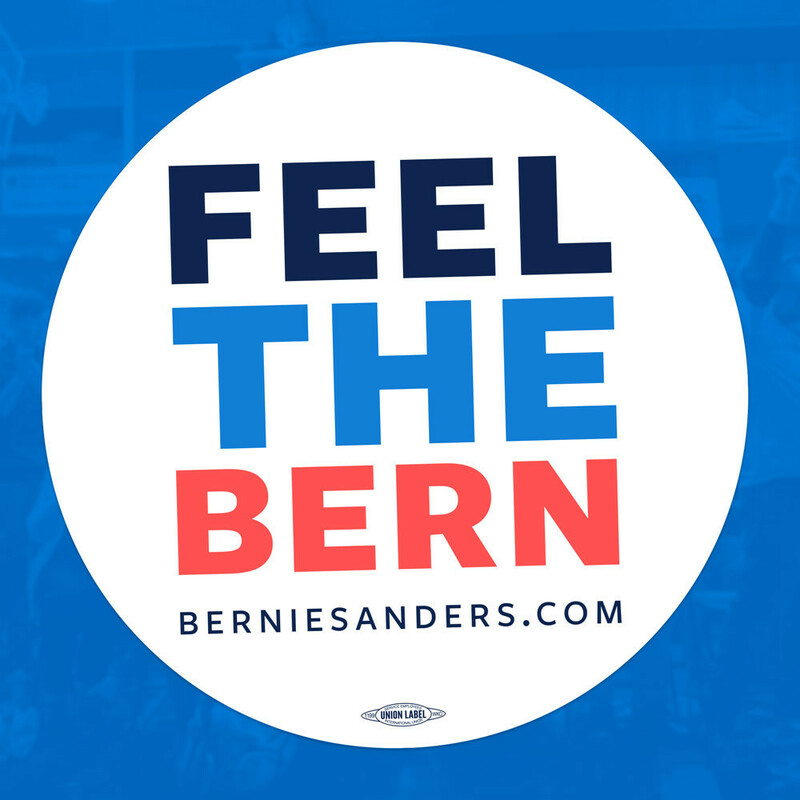 Thanks for stopping by my blog, I hope you will join me on Monday for the letter "N". I adore owls!!! I got some of those beads too that you made the earrings with. I used them on a Harry Potter themed project. Love them! I love owls! I'm totally going to start looking in hidey holes when I'm out and about!! Look how well that owl looks like part of the tree. I love owls and always have because they look so aware even if they look asleep. I find them regal and remember seeing a snowy owl in an evergreen while the snow was gently falling...so serene. Loving your cute owl earrings...again I am loving the blue. That red one looks so content and warm :-) You've had some truly exciting owl sightings ~ YAY for the babies!!! Those plump owl beads are adorable!